Art is for everyone. There’s plenty to do and see with kids! Kids 18 and under are always free — though they do require a ticket. Please book kids’ free tickets online in advance, along with tickets for the rest of your party. For online transactions, there is a limit of six Child/Teen tickets per paid or Member ticket. Get moving with Alexander Calder (Floor 3). Count all 21 native plant species on the largest living wall in the United States (Floor 3). Reimagine what a self-portrait can be in the Photography Interpretive Gallery (Floor 3). Soak up some eye-popping Pop art from the Doris and Donald Fisher Collection (Floor 5). Grab lunch at family-friendly Cafe 5, soak up the sun in the sculpture garden, and get an up-close look at SFMOMA’s rippling exterior (Floor 5). Check out the amazing selection of kid-friendly items in the Museum Store on your way out (Floors 1 and 2). You’ll find family restrooms on Floors 2 and 4. Changing tables are available in the restrooms on each floor. Strollers and soft-sided carriers worn on the front are allowed in the galleries. Soft-sided carriers worn on the back and metal-framed baby carriers are not permitted. 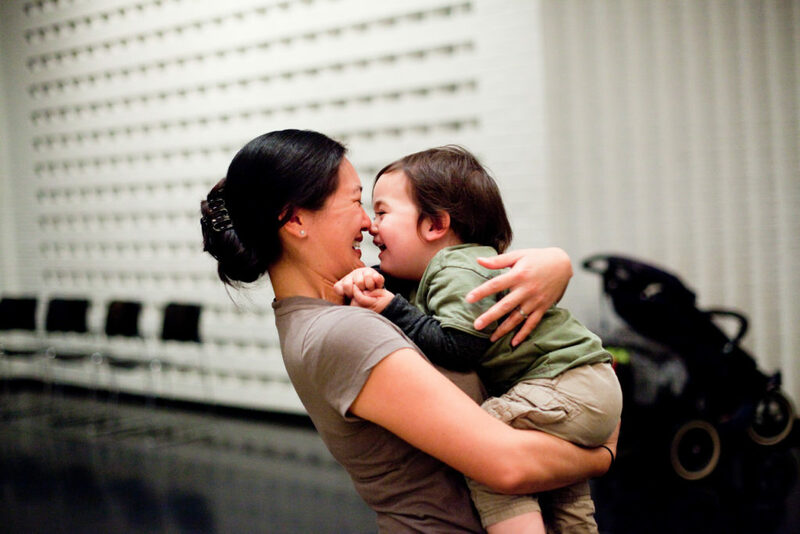 Per California state law, breastfeeding and bottle feeding are allowed in all spaces; there are no dedicated spaces for feeding in the museum. Our visitor experience staff is here to assist you with anything else that might come up. Have fun exploring! 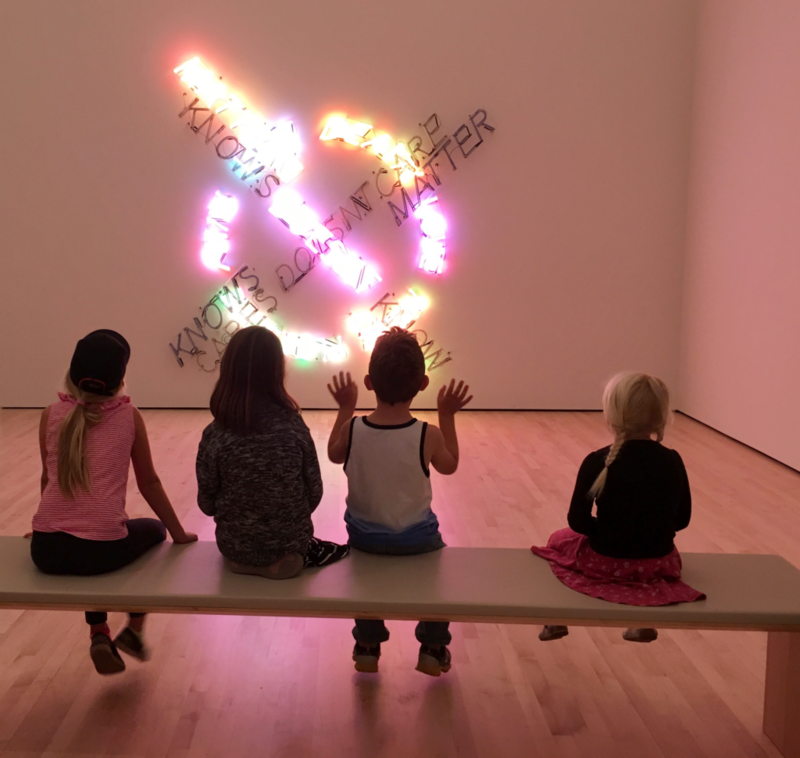 Sketch, investigate, and explore with SFMOMA’s Family Activity Guide. 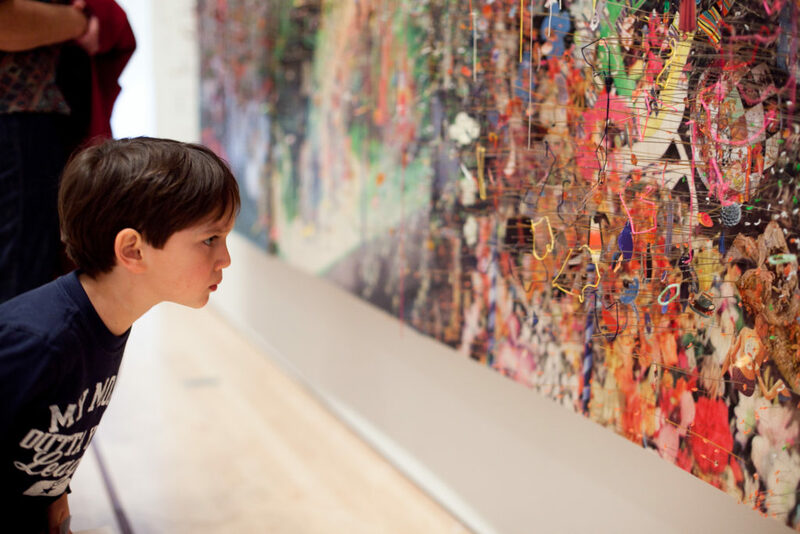 Each activity prompts you to discover a new artwork and create your own SFMOMA-inspired creation. Print at home to get a head start or pick up a copy at the Information Desk on Floor 2. Access for free admission for visitors 18 and under is made possible by major support from Arthur Rock and Toni Rembe Rock. Generous support is provided by Irwin and Concepción Federman, Patricia W. Fitzpatrick, Harriet Heyman and Sir Michael Moritz, Maryellie and Rupert Johnson, and Lisa and John Pritzker.